Bill is a valued member of the Allen Morris executive team having been with the company since 1987. 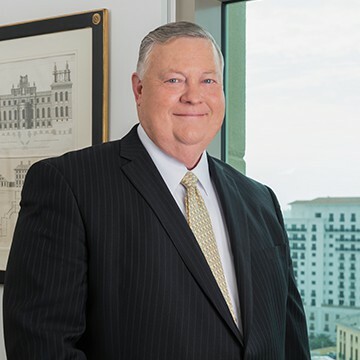 He is responsible for the administration of the Orlando office and the management of the company’s Central and North Florida portfolio of properties. Bill’s specialties are landlord advisory services, tenant representation, acquisitions and dispositions. Bill Owens has vast experience in the development of office buildings in which he offers single-source responsibility from the conceptualization of a project through to continuous consultation and warranty services after occupancy. Bill is a Certified Commercial Investment Member (CCIM).